This is a beautiful Eyvind Earle original concept painting from Toot, Whistle, Plunk, and Boom (1953). 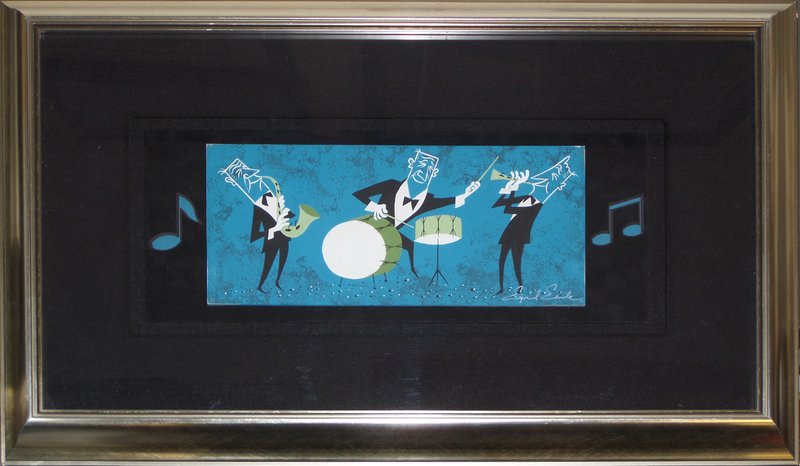 The image features three of the four sounds (Toot, Whistle, and Boom) and is signed by Eyvind Earle in the corner. The entire piece measures 5" x 11" and has been framed.